Richland Wa wedding bride and groom sunset photos at On Top of the World in Richland, Wa. There could of not of been a more perfect night to capture some wedding photos of this bride and groom. 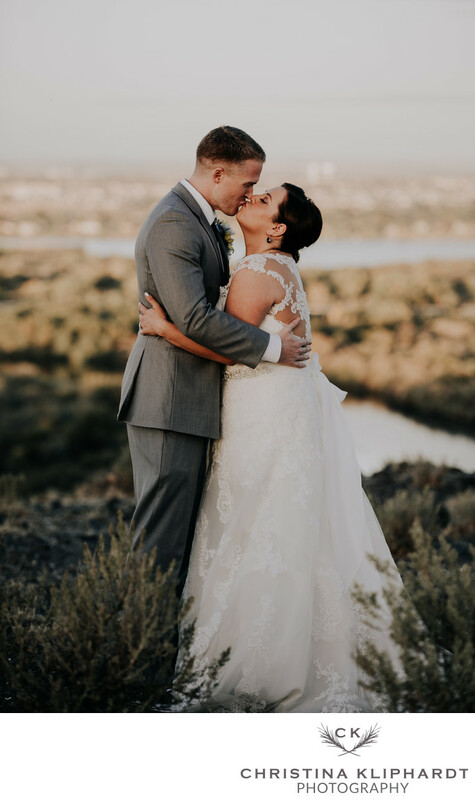 The sunset was dancing around them, the bride was breathtaking in her beautiful white wedding dress snuggled in her grooms arms set for the most romantic wedding day images right here in the TriCites. Location: Kennewick Wa TriCites Wa Richland Wa.